We help a lot of doctors find fantastic jobs in overseas locations. 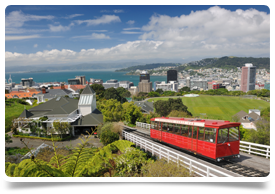 One GP we worked with has recently been finding her feet in Wellington, New Zealand after ‘making the move’ for a 6-month contract. My first week in Wellington was as emotionally up and down as it’s famous terrain. After almost 30 hours in the air I was eager to be on solid New Zealand ground. Wellington was different though – as the plane glided and banked into Wellington the Pacific sparkled as bright and as blue as the sky, and I felt my spirits lift and felt confidence in my decision to move out here for 6 months. I felt joy. I was greeted by two giant eagle sculptures inside the airport and there began the quiet, almost constant inner smiling towards what Wellington has to offer. I was kindly greeted by two lovely practice managers from work, Regan and Keriana, who were warm and welcoming. They recognised me without help from photos or descriptions and so initial tour of the city began. The heat was hard to ignore – it’s one of the hottest summers here since the 1930s! I had left London with a smattering of snow and was certainly not dressed for a scorching sun. We continued towards Wainuiomata – where I’ll be working at a local GP surgery. For this we passed through Petone (a local town with a hipster emergence) where it struck me that there is a lot of space even in the urban parts. All one storey businesses and houses, wide roads, no crowding. We continued into Lower Hutt, and then finally reached my temporary accommodation which is high up on a hill overlooking the Belmont Hills. Every day I open the curtains and breathe in fresh air and stare and smile at the rolling hills. The house is nice enough, and is shared with a live-in landlady and her two cats. Most notably, old, plumpy, ginger Gizmo who I rarely see on all fours and more likely to be established in one of his cat snooze poses – of which there are several. My new managers were very understanding of my fatigue and waited patiently for me to change and get sorted in the room before offering to take me to a grocery store to stock up on food. I felt very lucky with the offer given the Airbnb was (for my standards) pretty remote! I was guided around the local store and given moral support when I discovered the extortionate price of oranges and cheese. I have now learnt that in New Zealand, you buy fresh produce at local markets and not the supermarket, and you buy what’s in season. I like the idea of that, it makes sense and although the busy Brit in me isn’t used to that way of shopping, hopefully I’ll soon adapt and instead find it more foreign to shop for everything in ten minutes in one conglomerate super store. 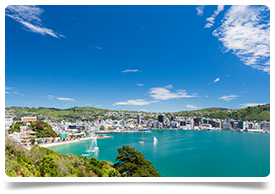 Find out more about living and working as a GP in New Zealand with our useful guide. Search our jobs to find your next job and start your journey!